Many small children in Boston are poisoned by lead paint in their homes every year, resulting in permanent damage to their brains, nervous system and kidneys, and in some cases severe learning disabilities. Massachusetts was one of the first states to enact a Lead Law in 1971, though the law was revised in 1987 and 1993, and this law protects children from the ill effects of lead paint in their homes. Lead may exist in paint or window frames, and other surfaces that children can access. Homeowners need to follow this law whether they are renting out the property or living in the home. Owners and their real estate agents must abide by the requirements of the Property Transfer Lead Paint Notification in any real property purchase transaction involving a residence built pre-1978. If you have concerns about lead paint compliance under Massachusetts law, contact the knowledgeable real estate lawyers at Pulgini & Norton. As a homeowner, you can follow the Massachusetts Lead Law in one of two ways. You can hire a licensed lead inspector to test your home for lead and make a record of all lead hazards. Based on that record, you can have all the dangers removed or covered by a licensed deleader and thereby receive a letter of full compliance. In some cases, you or someone else can do some of the work without the deleader's license, after getting the inspection performed. Some of the lead removal can be expensive. In order to fully follow the law, lead paint on woodwork, such as the woodwork on door frames, on or around windows, must be scraped off surfaces as high as five feet or the windows need to be replaced. Alternatively, you can have only the most pressing lead hazards fixed and simply control any other dangers. While this method may seem cost-effective, you will still need to retain a licensed risk assessor to determine how to keep the non-pressing lead hazards under control. This will result in a letter of interim control. You will have two years before you must have the controlled hazards removed or covered in order to get a letter of full compliance. As the owner of a rental property, you may assume that you need not comply with lead laws so long as you don't rent to someone with children. However, in Cambridge and surrounding areas it is illegal to evict or refuse to rent to somebody because they have children and you have lead paint in the home. Moreover, if you do not bother with the lead removal and a child is poisoned by lead in the rental, you are legally responsible for the child's injuries. You cannot contract your way out of it. The best way to handle lead paint is by following the lead law. Homeowners that obtain certification that controls or lead abatement have been performed cannot be held strictly liable for damages. This certification must be from a licensed inspector. Insurers of homeowners are required to offer coverage for negligence claims (though not gross negligence claims) related to lead paint. A seller and his real estate agent must give the Property Transfer Lead Paint Notification to a potential buyer or a tenant that has an option to buy before the purchase agreement or lease with option to buy or memorandum of agreement used in a foreclosure sale is signed. They must offer a lead inspection report, the risk report, or letter indicating compliance or control, and give the buyer any facts related to the existence of lead and the Lead Law. The buyer will have to sign the Notification to indicate she has been notified about any lead issues. If a seller or his real estate agent fails to follow the Property Transfer Lead Paint Notification, he can be assessed civil penalties under state law and under federal law, both criminal and civil penalties. 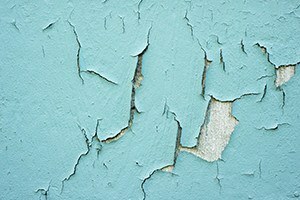 Whether you are a buyer or seller in Boston, you should be aware of lead paint issues, the Lead Law and your obligations under it. The experienced property inspection attorneys of Pulgini & Norton can help you understand and meet your obligations. We represent clients in Brookline, Lowell, and Malden. Call us at 781-843-2200 or contact us via our online form for a consultation.